Datapath has been named in Streaming Media’s annual ‘Top 101 companies that matter most in online video.’ Chosen from more than 1,000 product vendors by a leading panel of industry experts, the selection is recognition of Datapath’s ongoing innovation in video technologies. The prestigious list, which will appear in the European edition of Streaming Media’s Winter 2017 issue, is a yearly spotlight on companies that enable the creation and delivery of content being watched online and over-the-top (OTT). Those on the list have been highlighted as the most important, most innovative and most influential providers of streaming and OTT technologies, products and services. "We are exceptionally pleased to be recognised by Streaming Media’s panel of industry experts as one of those making a genuine impact on the marketplace," says Bjorn Krylander, Datapath’s Managing Director. 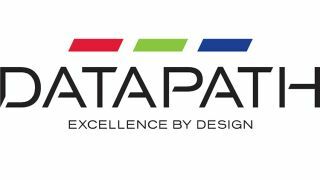 “At Datapath, product development continues apace and we expect to see our revenue growth continue to climb as we release new innovations. Looking ahead there are plenty of opportunities for Datapath in current and new market segments, both in the US and globally, and we look forward to building on these as we head into 2018." Recent innovations from Datapath include its next-generation series of VSN video wall controllers for applications demanding high performance and reliability; the VisionLC range of professional video capture cards that offer an attractive cost-to-performance ratio; and the company’s new and advanced application-sharing software, Quant. Designed for video-wall users working in collaborative business environments, or operation centres and control rooms, Quant’s unique capabilities allow users to view and share application windows, as well as interact and make changes to original source files. Offering wide, cross-market appeal, this innovative new software has been designed to work in conjunction with Datapath’s WallControl 10 software.